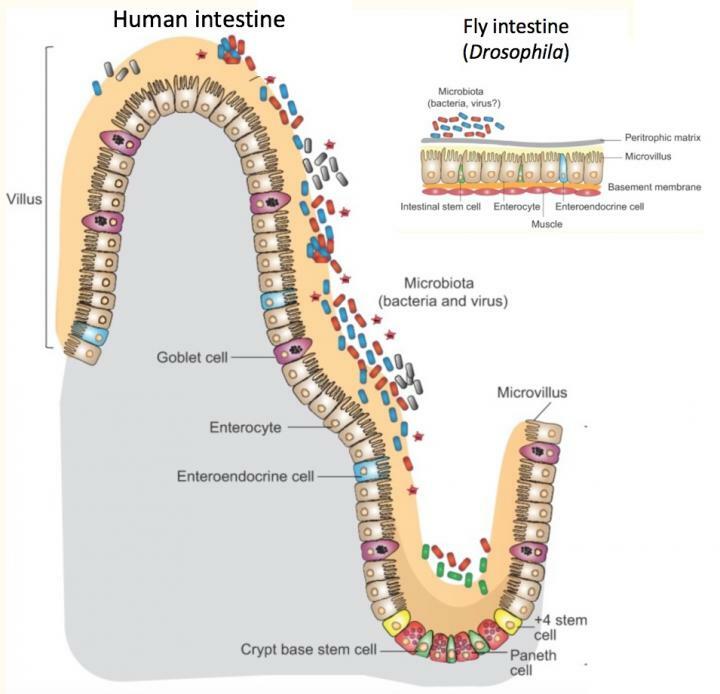 In the intestine, digestive cells use an innate immune pathway to respond to harmful bacteria. But other intestinal cells, enteroendocrine cells, use the same pathway, known as IMD, to respond to "good" bacteria — by fine-tuning body metabolism to diet and intestinal conditions. "Some innate immune pathways aren't just for innate immunity," says Watnick. "Innate immune pathways are also listening to the 'good' bacteria – and responding metabolically."